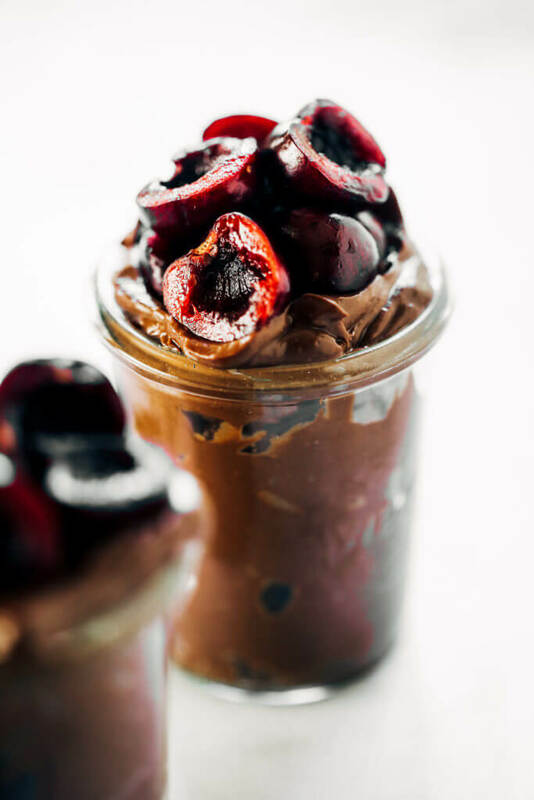 This has been my all-week obsession… and I kinda feel like I’m giving my favorite child away, because this pudding was fell-in-love-at-first-bite. 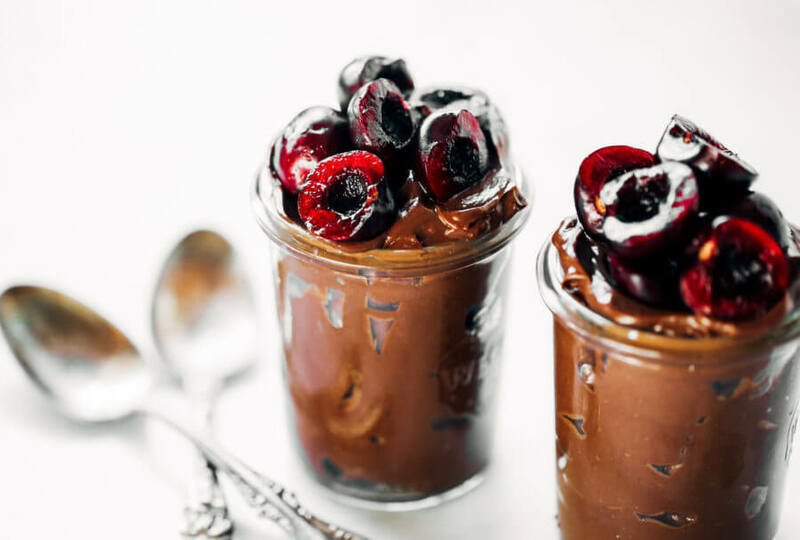 Go ahead, I give you permission to eat chocolate pudding for breakfast. 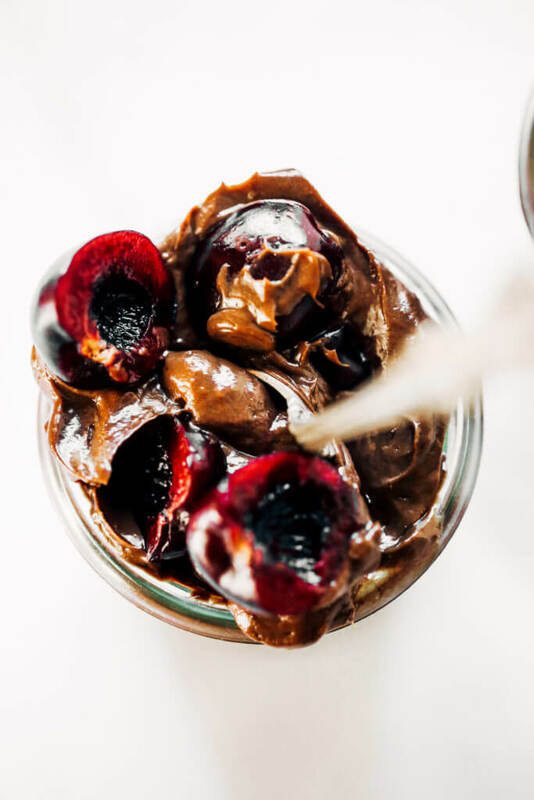 I definitely think that avocados, cherries, and chocolate and perfectly acceptable breakfast foods! 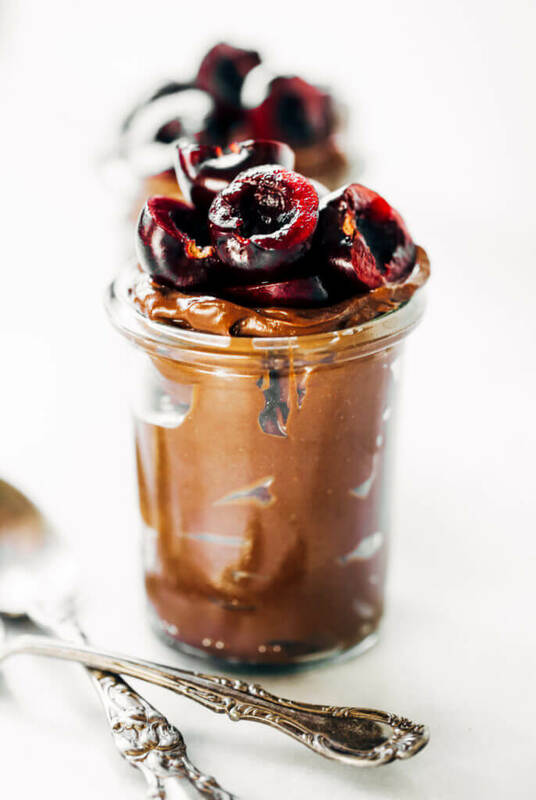 You won’t find me turning down a cute little jar of this ultra-creamy-decadent-give-me-more-please pudding. I sneak into the fridge with my spoon. And it all disappears. Instantly. When the last of it disappears, I wonder where it’s gone. 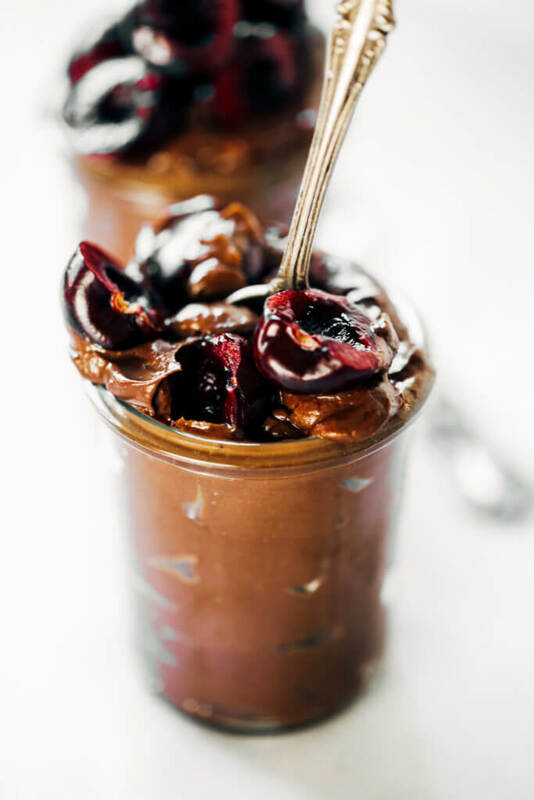 I mean, one person can’t possibly destroy four servings of chocolate pudding in just two days, could they? I really don’t want to miss out on a bowl of cold ice-cream after a day at the lake, but usually I’m just too lazy to make some or go to the store. 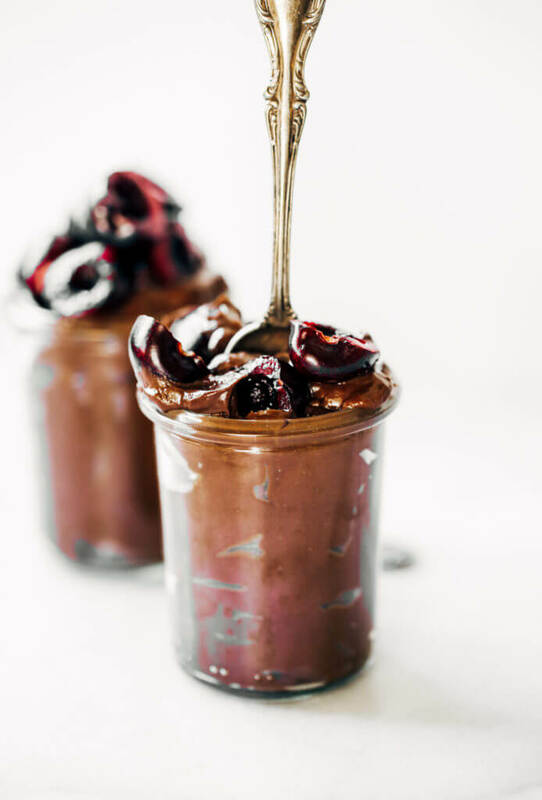 Which is where I introduce to you: the creamiest chocolate pudding you’ll ever have! 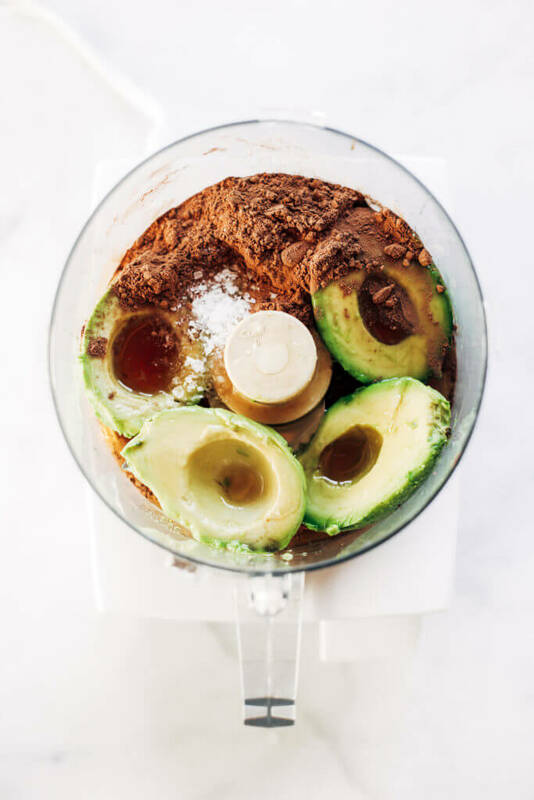 Get out your food processor. Eat. Eat all of it. And with that, I have a better-than-ice-cream creamy bowl of pudding that I can top with all the fruit and nuts. No store run or hours of churning ice-cream for this treat. The fact that it’s made of basically only vegetables is enough to have me double spooning this into my mouth 24/7 like it’s my job. 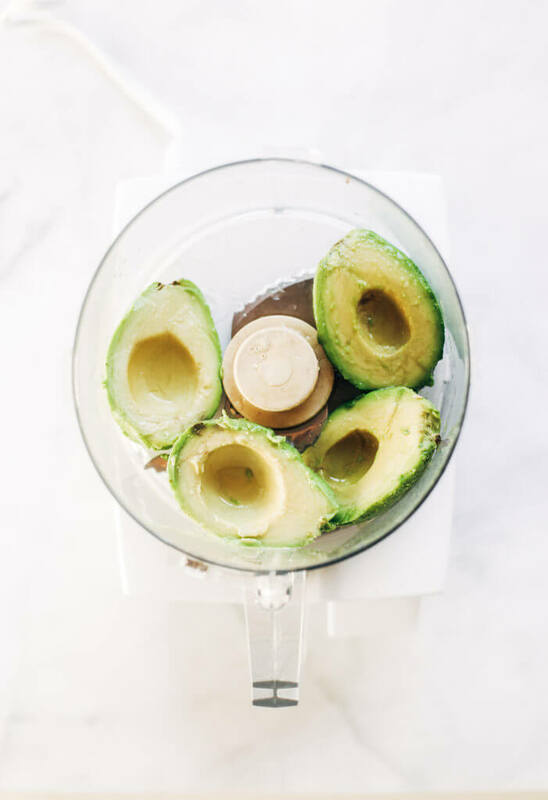 But aside from the healthy-factor, the flavor is enough to keep me hooked and want to share this recipe with the world! Quick! 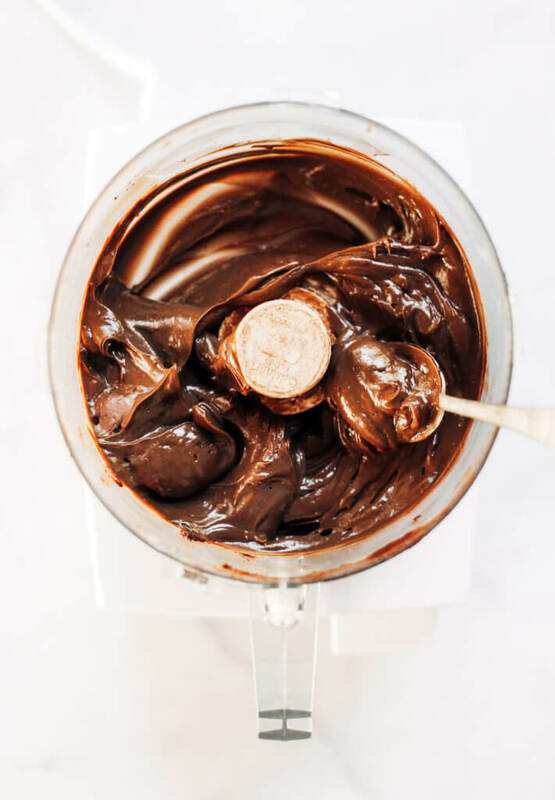 Grab your spoon and follow me straight into chocolate heaven, people. 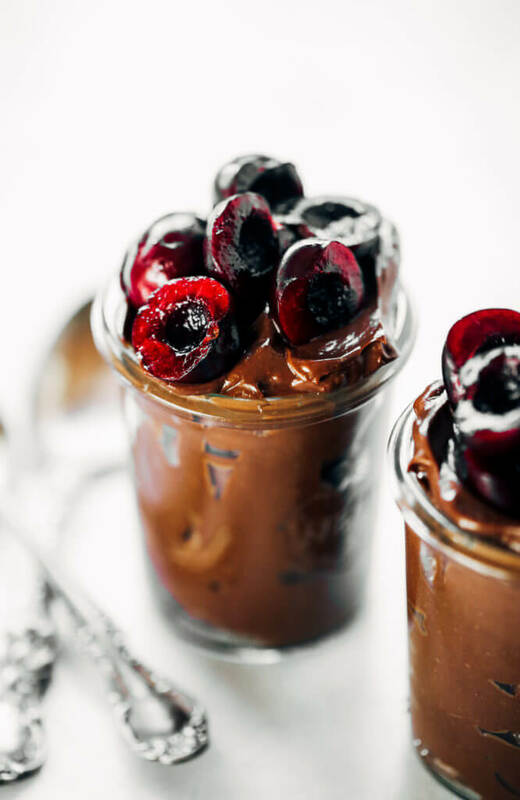 I make my own chocolate mousse like this, except I add a couple of frozen banana slices! LOVE IT! Thanks for your recipe. Hi Kaylie, I recently found your site/work, you are a very talented young woman. It’s inspiring to see what you’ve already accomplished, and openness about your beliefs. I am looking forward to following your work. ANYWAY, I made the vegan chocolate pudding. It was tasty, and very easy to make; great when you want something quick and chocolatey. I topped it with walnuts and whipped cream, would try it again with cherries or some other fruit topping. Thank you for the excellent recipes. This is hands-down the most epic recipe I have ever tried in my life. I can’t even wrap my mind around the fact that it’s basically just freaking avocado, cocoa and maple syrup yet tastes so rich and gourmet! MIRACULOUS!! I just discovered your site! I’m blown away by your recipes, they are exactly what I’ve been searching for! So creative, easy to make and they all look utterly delicious. You are very talented! I’m going to follow you on Instagram!! I can’t wait to get cooking! This is ridiculously good! 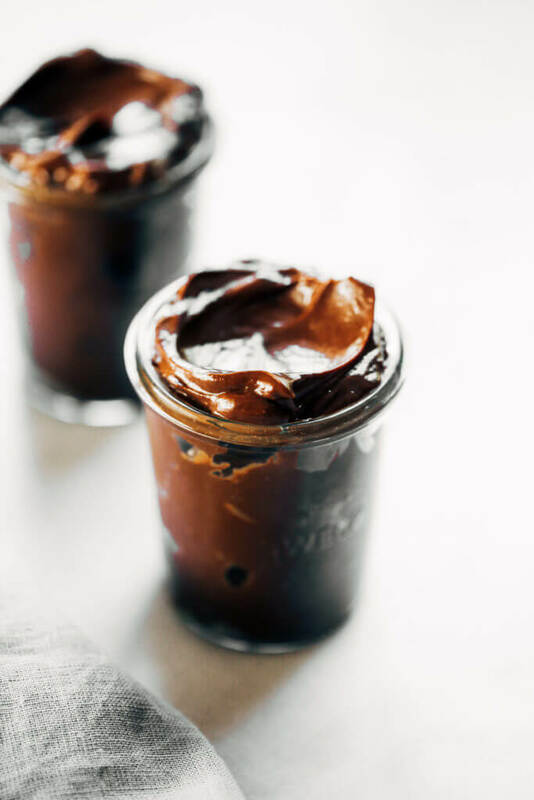 It seemed too simple to taste this great and makes me feel sad for all the average chocolate pudding out there, paleo or not. Thank you!! Oh haha, that’s awesome! Thank you Dianna! SOOO GOOD!!! 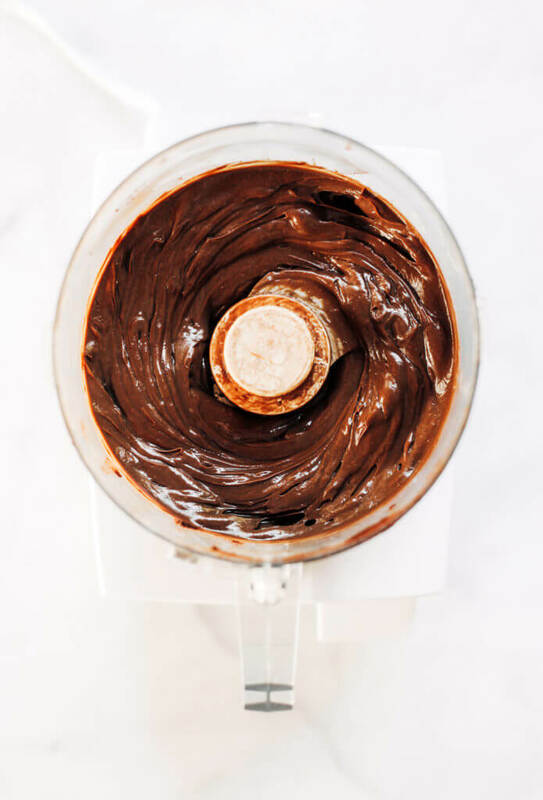 I froze it and gave it a mix every 30 minutes or so… now enjoying a super decadent chocolate ice cream! !